ZGA completed an engineering geology assessment for this proposed timber harvest area in accordance with the Washington State Forest Practices Act. The purpose of the project was to evaluate the likelihood that the proposed timber harvest would cause movement on potentially unstable slopes or deliver sediment or debris to public resources. Our scope of work included an analysis and discussion of sequential aerial photographs, LiDAR data, geologic, hydrogeologic and slope stability conditions, erosion and deliverability potential, and storm water runoff potential from the areas to be logged, and conclusions and recommendations concerning mass wasting and erosion potential within steep slopes, convergent topography, and inner gorges. 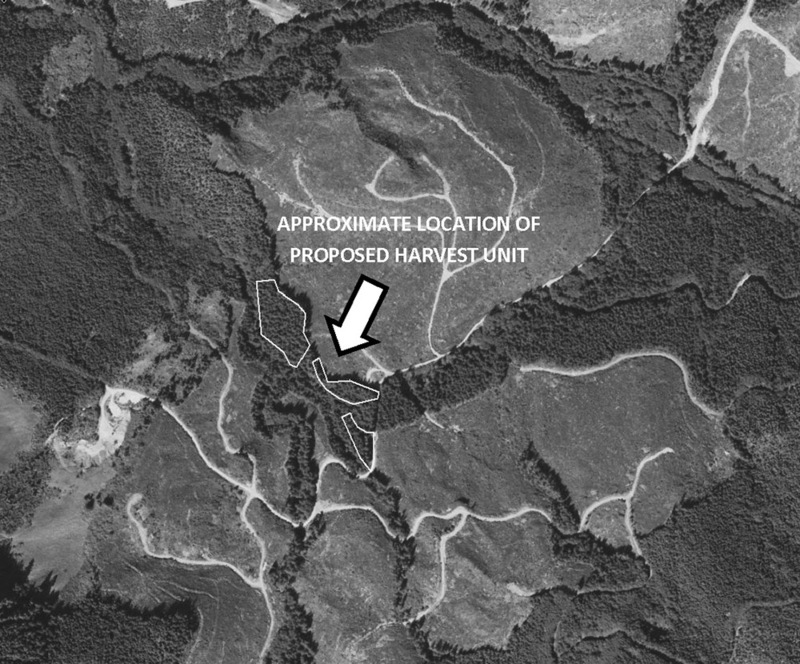 The proposed harvest unit is underlain by planar slopes at gradients ranging from about 65 percent to 75 percent. The base of the slope is bounded by a terrace as much as about 100 feet wide, beyond which lies a well-defined inner gorge. Convergent topography, bedrock hollows, and other indications of recent or incipient slope failure were not observed, except for a small dormant-mature deep-seated landslide in the central part of the area. Based on the lack of convergent topography, the presence of a terrace at the base of the slope, and the lack of recent slope failures and other features indicative of incipient slope failure, ZGA concluded that the slope could be harvested without significant risk of delivery of sediment or debris to public resources.